After hearing what she thought was a burglar, a Hillsboro found her garage on fire instead. Firefighters in Hillsboro have extinguished a blaze which threatened to burn down a home off River Road on Wednesday morning. Hillsboro fire crews were called to the 1900 block of Southeast Currin Drive at about 4:45 a.m., Jan. 9, after a woman called 911. According to Bruce Montgomery, a spokesman with the Hillsboro Fire Department, the woman heard a noise and believed a burglar had broken into her garage. She called 911 and left the home, but once outside found heavy black smoke coming from the eaves of the garage. Outside, Montgomery said the woman heard smoke alarms going off inside the home and the sound of breaking glass from her garage. Montgomery said the breaking glass was likely caused by the heat of the fire, not a burglar. 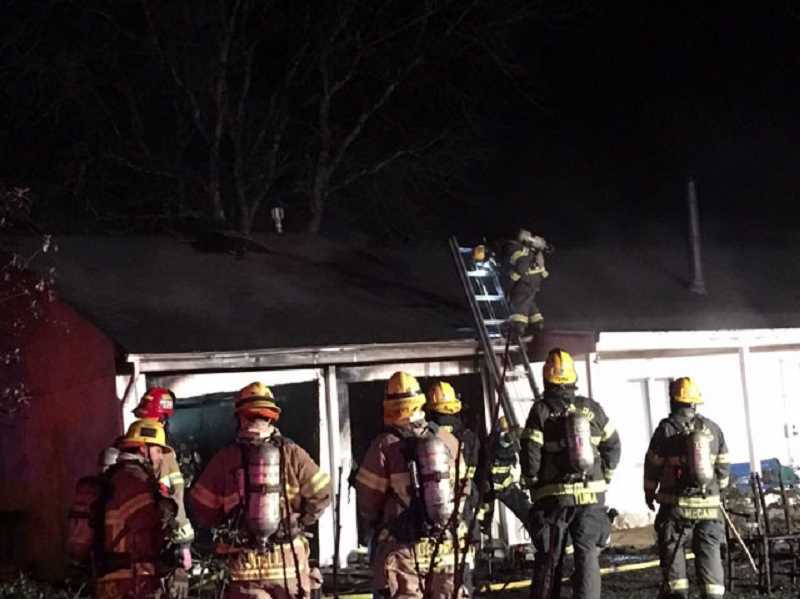 In all, about 20 firefighters responded to the scene and were able to quickly extinguish the fire, Montgomery said, including firefighters from Tualatin Valley Fire & Rescue, which operates a station in Aloha. Fire damage was contained to the garage, Montgomery said. No one was injured in the blaze. Fire investigators determined Wednesday morning that the fire was likely caused by a faulty light fixture. Montgomery said working smoke alarms are the most important warning system that you can have when it comes to fire, and urged residents to develop a home escape plan with two was out of every room in your house and a family meeting place out front. Editor's Note: This story has been updated with to include the likely cause of the fire.